One of the most common integrations that people want to do with Apache Kafka® is getting data in from a database. That is because relational databases are a rich source of events. The existing data in a database, and any changes to that data, can be streamed into a Kafka topic. From there these events can be used to drive applications, be streamed to other data stores such as search replicas or caches and streamed to storage for analytics. I’ve written previously about the options available for doing this and different types of change data capture (CDC). Here, I’m going to dig into one of the options available—the JDBC connector for Kafka Connect. I’ll show how to set it up, as well as provide some troubleshooting tips along the way. For full details, make sure to check out the documentation. The JDBC connector for Kafka Connect is included with Confluent Platform and can also be installed separately from Confluent Hub. It enables you to pull data (source) from a database into Kafka, and to push data (sink) from a Kafka topic to a database. Almost all relational databases provide a JDBC driver, including Oracle, Microsoft SQL Server, DB2, MySQL and Postgres. You can find the Docker Compose configuration and associated files for you to try this out yourself, with Postgres, MySQL, Oracle and MS SQL Server on GitHub. The plugin.path configuration option for Kafka Connect cannot be used to point to JDBC driver JARs directly if the kafka-connect-jdbc JAR resides elsewhere. Per the documentation, the JDBC driver JAR must be in the same location as the kafka-connect-jdbc JAR. If you are running a multi-node Kafka Connect cluster, then remember that the JDBC driver JAR needs to be correctly installed on every Connect worker in the cluster. In this list of JARs, the JDBC driver JAR should be present. In the above output you can see the MySQL, Postgres and SQLite JARs. If your JDBC driver JAR is not there, then use the path provided of the kafka-connect-jdbc JAR and place it into the same folder. Ensure that your JDBC driver is included in the list of those registered. If it’s not, then you’ve not installed it correctly. Note that you might see Registered java.sql.Driver for your driver elsewhere in the log, but for validation that it will be available to the JDBC connector, it must appear directly after the INFO Added plugin 'io.confluent.connect.jdbc message. Note that whilst the JDBC URL will often permit you to embed authentication details, these are logged in clear text in the Kafka Connect log. For that reason, you should use the separate connection.user and connection.password configuration options, which are correctly sanitized when logged. So now that we have the JDBC driver installed correctly, we can configure Kafka Connect to ingest data from a database. Here’s the most minimal of configs. Note that whilst it’s minimal, it’s not necessarily the most useful since it’s doing bulk import of data—we discuss how to do incremental loads later on in this post. Other table selection options are available including table.types to select objects other than tables, such as views. The connector then filters this list down based on the whitelist/blacklist provided, so make sure that the ones you specify fall within the list of those that the connector shows as available. Don’t forget that the connecting user must be able to access these tables, so check the appropriate GRANT statements on the database side too. So far we’ve just pulled entire tables into Kafka on a scheduled basis. This is useful to get a dump of the data, but very batchy and not always so appropriate for actually integrating source database systems into the streaming world of Kafka. The JDBC connector gives you the option to stream into Kafka just the rows from a table that have changed in the period since it was last polled. It can do this based either on an incrementing column (e.g., incrementing primary key) and/or a timestamp (e.g., last updated timestamp). You can use either (timestamp/incrementing) or both (timestamp+incrementing) of these methods combined. The timestamp and/or ID column that you specify to be used must be present on all of the tables handled by the connector. If different tables have timestamp/ID columns of different names, then create separate connector configurations as required. If you only use incrementing IDs, then updates to the data won’t get captured unless the ID also increases on each update (very unlikely in the case of a primary key). Some tables may not have unique IDs, and instead have multiple columns which combined represent the unique identifier for a row (a composite key). The JDBC connector requires a single identifier column. The timestamp+incrementing option gives you the most coverage in terms of identifying both new and updated rows. Beware of “premature optimisation” of your pipeline. Just because you don’t need certain columns or rows from a source table, that’s not to say you shouldn’t include them when streaming to Kafka. As you’ll see below, the query mode can be less flexible when it comes to incremental ingest, so another approach to simply dropping columns from the source (whether to simply reduce the number, or because of sensitive information) is to use the ReplaceField Single Message Transform in the connector itself. As your query becomes more complex (for example, resolving joins), the potential load and impact on the source database increases. Joining data at source in the RDBMS is one way to resolve joins. Another is to stream the source tables into individual Kafka topics and then use KSQL or Kafka Streams to perform joins as required. The same is true for filtering and masking data—KSQL is an excellent way to “post-process” data in Kafka, keeping the pipeline as simple as possible. If you don’t include the column—even if it exists in the source table—then your connector will fail with an org.apache.kafka.connect.errors.DataException error (#561) or java.lang.NullPointerException error (#560). This is because the connector needs to have the value in the returned data so that it can store the latest value for the offset accordingly. If you use the query option, then you cannot specify your own WHERE clause in it unless you use mode: bulk (#566). That is to say, using your own predicates in the query and getting Kafka Connect to an incremental ingest are mutually exclusive. Similarly, if you have the same configuration for all tables, you can use a single connector. Sometimes you might create a connector successfully but not see any data in your target Kafka topic. Let’s walk through the diagnostic steps to take. You should expect to see your connector listed here. If it’s not, you need to create it and pay attention to any errors returned by Kafka Connect at this point. Note the statement terminator (;) after c.id for the JOIN clause has a WHERE after it. The WHERE is appended by Kafka Connect to implement the requested incrementing mode but creates an invalid SQL statement. It’s always worth searching GitHub for issues relating to error that you’re seeing because sometimes it will actually be a known issue, such as this one here, which even after removing the statement terminator ends up being a known bug with the JDBC connector. What is the polling interval for the connector? Perhaps it is working exactly as configured, and it just hasn’t polled for new data since data changed in the source table. To check this, look in the Kafka Connect worker output for JdbcSourceTaskConfig values and the poll.interval.ms value. If you’re using incremental ingest, what offset does Kafka Connect have stored? If you delete and recreate a connector with the same name, the offset from the previous instance will be preserved. Consider the scenario in which you create a connector. It successfully ingests all data up to a given ID or timestamp value in the source table, and then you delete and recreate it. 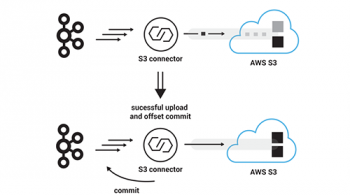 The new version of the connector will get the offset from the previous version and thus only ingest newer data than that which was previously processed. You can verify this by looking at the offset.storage.topic and the values stored in it for the table in question. Here, the first timestamp value is the stored offset, and the second one is the current timestamp. Whilst not documented, it is possible to manually change the offset that a connector is using. This works across source connector types; in the context of the JDBC source connector, it means changing the timestamp or ID from which the connector will treat subsequent records as unprocessed. When the Kafka Connect connector task starts, it reads this topic and uses the latest value for the appropriate key. To change the offset, we can simply insert a new value. The easiest way to do this is dump the current topic contents, modify the payload and replay it—for this I would use kafkacat because of the consistency and conciseness of options. For multiple connectors, this will be more complicated, but here there is just one so I use the -o-1 flag, which defines the offset to return. You can also just bounce the Kafka Connect worker. Once restarted, all records in the source that are more recent than the newly set offset will be [re-]ingested into the Kafka topic. There is work underway to make the management of offsets easier—see KIP-199 and KAFKA-4107. When you create a JDBC source connector using timestamp or incrementing modes, it will start from an ID of -1 and/or timestamp of 1970-01-01 00:00:00.00. This means that you’ll get the full contents of the table, and then any inserts/updates to the data on subsequent polls. But, what if you don’t want a full copy of the table, and just want the connector to start as of now? This isn’t currently an option in Kafka Connect, but using the method above is possible. Instead of taking an existing offset message and customizing it, we’ll have to brew our own. The format of the message is going to be specific to the name of the connector and table that you’re using. One option is to create the connector first, determine the format and then delete the connector. Another option is to use an environment with the same source table name and structure except in which there’s no data for the connector to pull. Again, you should end up with the message format required. Kafka messages are key/value pairs, in which the value is the “payload.” In the context of the JDBC connector, the value is the contents of the table row being ingested. 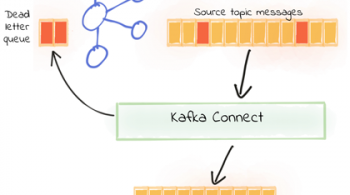 The key in a Kafka message is important for things like partitioning and processing downstream where any joins are going to be done with the data, such as in KSQL. The JDBC connector mandates that you include topic.prefix—but what if you don’t want that, or you want to change the topic name to some other pattern? SMT can help you out here too! "numeric.mapping": "best_fit" is probably the setting that you want to be using if you have NUMERIC/NUMBER data in your source. You can use the query option in the JDBC connector to CAST data types from your source table if required. If a field is exposed as the JDBC DECIMAL type, then numeric.mapping will not work. MySQL stores all numerics as DECIMAL. MS SQL, will store DECIMAL and NUMERIC natively, so you will have to cast DECIMAL fields to NUMERIC. In Oracle, make sure that you specify a precision and scale in your NUMBER fields. For example, NUMBER(5,0), not NUMBER. NUMERIC and DECIMAL are just treated as NUMBER, as is INT. So whether you’re using JSON or Avro, this is where the numeric.mapping configuration comes in. By default, it is set to none (i.e., use Connect’s DECIMAL type), but what people often want is for Connect to actually cast the type to a more compatible type appropriate to the precision of the number. See the documentation for a full explanation. You can see more details of this, along with examples from Postgres, Oracle and MS SQL Server here. Define multiple connectors, each ingesting separate tables. Define a single connector, but increase the number of tasks that it may spawn. 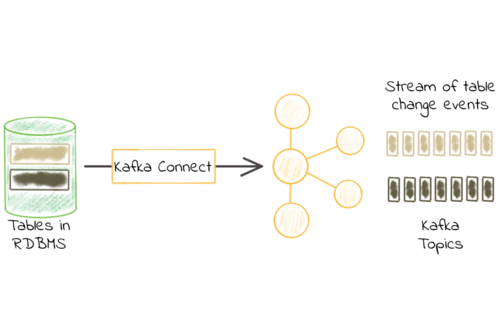 The work for each Kafka Connect connector is carried out by one or more tasks. By default, there is one per connector, meaning that data is ingested from the database by a single process. The former has a higher management overhead, but does provide the flexibility of custom settings per table. If all the tables can be ingested with the same connector settings, then increasing the number of tasks in a single connector is a good way to do it. When increasing the concurrency with which data is pulled from the database, always work with your friendly DBA. It may be quicker for you to run a hundred concurrent tasks, but those hundred connections to the database might have a negative impact on the database. Below are two examples of the same connector. Both are going to pull in all the tables that the user has access to in the database, a total of six. In the first connector, the maximum number of tasks is not specified and so is the default of one. In the second, we specify to run at most three tasks ("tasks.max":3). 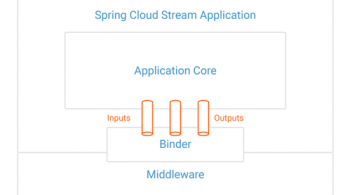 You can also download the Confluent Platform, the leading distribution of Apache Kafka, which includes many connectors available from the Confluent Hub. 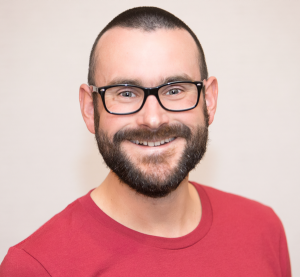 Robin Moffatt is a developer advocate at Confluent, as well as an Oracle Groundbreaker Ambassador and ACE Director (alumnus). His career has always involved data, from the old worlds of COBOL and DB2, through the worlds of Oracle and Apache™ Hadoop® and into the current world with Kafka. His particular interests are analytics, systems architecture, performance testing and optimization. You can also follow him on Twitter.